There are too many JFK assassination forums, with too many rules. One won't let you call obvious lies lies, or obvious liars liars. 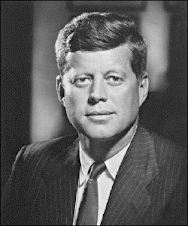 The main objective of this particular forum is to bring together researchers into the assassination of John F. Kennedy. To do what? Are we posing for a group photo? Another rule is that the motivations of the poster should not be questioned. And the word "liar" is banned. So, guess who's found a home there? David Von Pein and Robert Murrow. Another forum is moderated by a Lone Nutter who doesn't think there was a conspiracy at all. Now look kiddies, we've been at this for nearly 50 years. 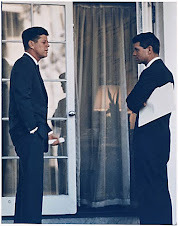 There was a conspiracy to kill JFK. 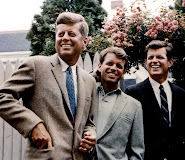 The Warren Commission was a lie. Don't tell me to let the reader decide. Don't give room and space for people like David Von Pien. The internet should be used to expose the lies, to demonstrate that those who believe Oswald did it are liars. We need to show this is a lie, here's the proof it's a lie, don't listen to this type of garbage. Don't be fooled. Of course motivations should be questioned. You're either fighting for the truth or your not. This particular forum posting below isn't so much a lie as it's just ridiculous nonsense. There is this guy I've never heard of before, Mike Rago, claiming that he's found when a bullet hit the interior chrome of the presidential limousine in the Zapruder film. 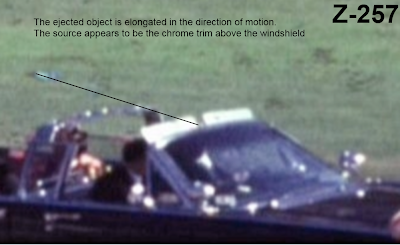 And, get this, he sees a big chunk of metal flying off, not moving forward of the limousine, but backwards along the path the bullet supposedly took. He even has arrows pointing to this "object" in two and only two frames. 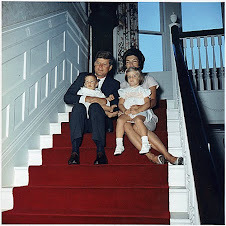 He sees this in one, and only one Zapruder film version. No matter how many times you point out the flaws in this theory he just keeps reposting his original post. Don't tell him to check other versions of the Zapruder film, or to go to the National Archives, or the 6th Floor Museum, or to look at slides of these frames, it falls on deaf ears. Don't ask him for any witnesses in Dealey Plaza for confirmation of this ejected object. Don't ask for any Secret Service documents detailing missing chrome, or any other type of material missing from the interior windshield because he'll just repost his original post, again. As for proof to substantiate this theory he gives us Roy Kellerman's head movement. To Rago Kellerman is watching the thing fly off. For Rago there is no chance Kellerman's reacting to anything else, like the sound of the gunfire, the movement of people behind him, Connally squealing like a stuck pig when he's hit (that's how Jackie described Connally's reaction to being hit), or the sound of JFK's head exploding. And he'll give you the black and white photo showing the dent in the chrome. Many of us have seen this photo. It is a photo of damage to the interior chrome which many believe was caused by a bullet during the assassination. But, the important thing to understand about this photo is that while it shows damage it does not show what caused it. and the arrows pointing to this alleged object.